So, we’ve got a tablet here that you’ll probably not see on any other tech website. It’s the LeapPad! This doesn’t run Android or any other OS we’d normally cover here but, back in July 2011 the LeapPad started something new. Does your child play with your smartphone or tablet? They probably do. It’s fairly easy to get going and most children understand and appreciate the fact that their fingers can make stuff move around. 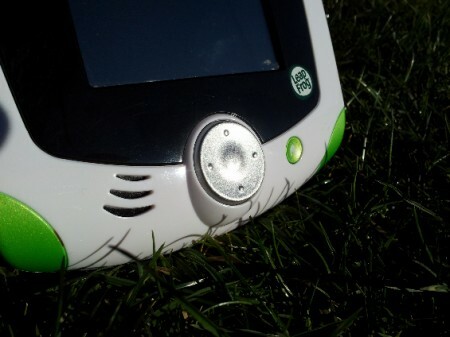 The LeapPad builds on the success of the Leapster Explorer – an educational gaming device for children which was pretty much modelled on devices like the Nintendo GameBoy and DS. Now, with tablets becoming more popular and familiar, they can have their own tablet, and it’s educational too. 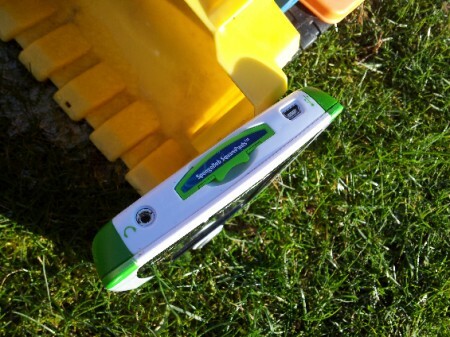 LeapFrog, the people behind the Leapster Explorer and the LeapPad, have got a large range of educational games and demos to try. However, they’ll have to deal with competition from the likes of the Kurio from Inspiration Works. That’s a “real” Android tablet but comes with stacks of security features to ensure that your child doesn’t start downloading one of the more “risque” apps from the Android Market. However, with so many apps in the Market, some more educational than others, how do you ensure that the quality is right? 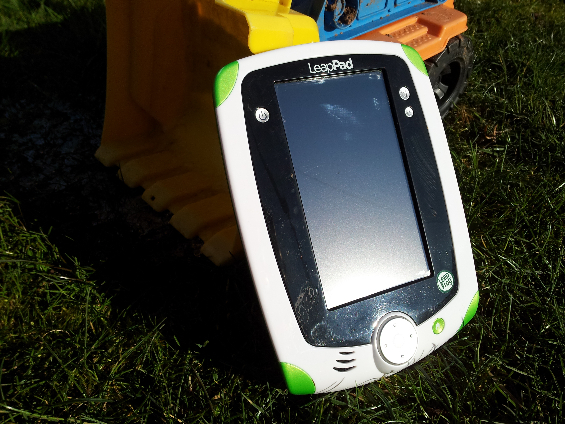 The LeapPad, or “LeapPad Explorer” to give it it’s full name, has one major advantage straight out of the box. If you already bought the Leapster Explorer then don’t worry, all the games will work on this. LeapFrog tell me that their entire library of Leapster Explorer games and apps work on the LeapPad, with the exception of the Photo Mania app. It doesn’t always work the other way round though, so if you’ve got an app that designed for the larger screen, motion sensor and microphone of the LeapPad it’ll not work on the Leapster Explorer. So, what’s new. Well, as I said we’ve got the new motion sensor. There’s a few ball games where you have to tilt the device around to get it into the hole – you know the sort of thing. You can also find more advanced games within their catalogue which use both the microphone and motion sensor. Tech specs, if you need them, aren’t too bad. That’s a 5″ screen at 480×272 and it’s got 2GB of memory. The camera seems to take shots at 640×480 which is reasonable enough for most shots. It’ll also record video at 320×240 and it can be quite funny watching some of the footage back, especially when your son or daughter has caught you unawares. The device itself is a little smaller than most tablets, which makes it more child friendly, but it’s also a lot slimmer and easier to lug around than the Leapster Explorer. The games range in price. The Explorer Cars 2 game costs £19.99 currently, as do most of the Disney games. What does annoy me, more than anything, is the voice-overs in the games. This is a subject that I could easily get on my soap-box about. It happens continually on Android too – you’ll find many “educational” Android apps teaching your child about how “A is for Ant” but the voice will say “Ayyynt” instead of “Aaaant”. The phonics games in particular were a good example of where the educational message quickly fell down and you found yourself correcting everything. “No Billy, it’s Zed, not Zee”. I find myself doing it when American Kids TV shows are on, and it’s annoying as heck. The accents on almost all the games are American, the terminology, from “sidewalk” to “rail tracks” is simply not correct for British kids. I don’t have a problem with the American accent, it’s just not how we speak over here. That said, some of the games are excellent from an educational standpoint. It’ll teach children how to write letters, how to add up and how to solve problems. There’s over a hundred to choose from and, although this is aimed at 4 to 9 year-olds, I found that my 3 year-old really liked it. I love the fact that my son can take photos and scribble over them too – he has hours of fun doing that, but the whole device is by no means a parental replacement and you have to monitor the amount of time that it’s used. Leapster Explorer games, when loaded on the LeapPad, show in a framed window with the previous “A” and “B” buttons converted to on-screen equivalents. The “designed for” LeapPad games load in full-screen and have the additional features we’ve mentioned earlier. The device comes with a stylus and runs from 4 AA batteries, although these can run dry pretty quickly if you hammer the device quite a bit. Strangely, although there’s an external charger port, it doesn’t seem to arrive with a wall-charger. I’m not totally sure why, so I’d recommend some rechargeable batteries. 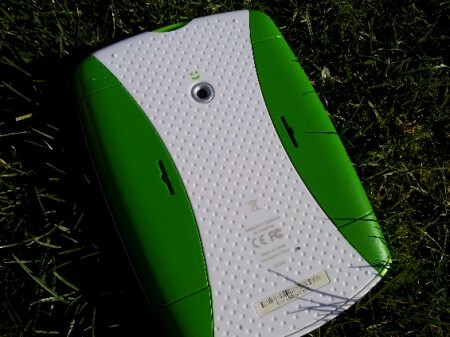 There’s an online element to the LeapPad, although it only extends as far as plugging it into a laptop or PC in order to get demos, extras and goodies through the official LeapFrog application. It’s all very safe and you can also grab the photos / videos off the device too. 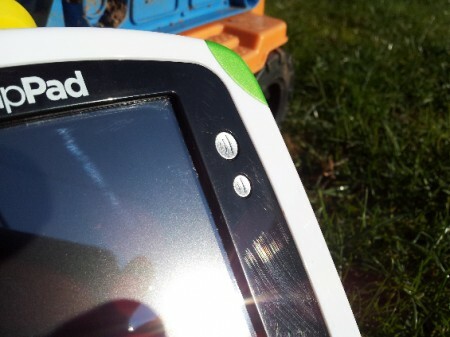 The LeapPad Explorer costs £79.99 and you can get it in a varierty of colours. It’s a tough puppy and copes well with the daily bashing that children give it. I liked the fact that the screen rotated around on this particular version, and the e-Books were a good way of sounding-out words, although the lack of a British accent and British phonics were a real pain. This should really be shown on the box and toy manufacturers should really take time out to re-do the narrators and sounds when importing kit aimed at children. That said, the games are very educational but manage to get that balance of fun just right. It really does seem to help with my sons education and I like the creativity he has on it too. In future versions I’d perhaps like to see some sort of pre-screened video content, maybe over a WiFi connection of some sort. Overall though, this is a much improved version of the original Leapster Explorer and one to seriously consider if you have the cash. Face Unlock... a gimmick or actually usable?